SEVIERVILLE - Nico Hoerner's RBI-single in the bottom of the eighth inning was the difference in a 4-3 victory for the Tennessee Smokies (2-1) against the Mississippi Braves (1-2) on Saturday night. RHP Keegan Thompson tossed five hitless innings while striking out eight in his 2019 debut. 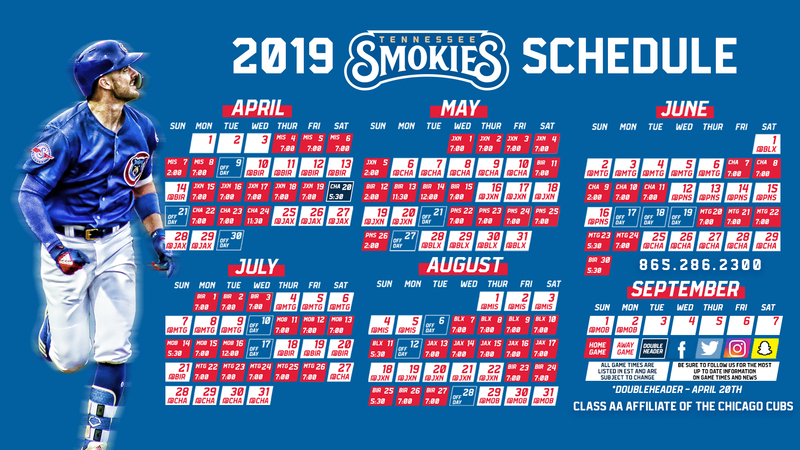 The Smokies jumped to an early 1-0 lead thanks to Jared Young's second home run of the season, a towering shot to right. They would add to their lead in the fifth on an Eddy Martinez RBI-single and a Charcer Burks sacrifice fly. The M-Braves would answer back in the sixth when Ray-Patrick Didder smacked a two-run triple to right field. In the eighth, they would tie the game on a LHP Jordan Minch (W, 1-0) wild pitch. Tennessee came right back in the bottom of the frame against RHP Jason Hursh (L, 0-1). Roberto Caro bunted his way on base to start the inning. An error on a pickoff attempt moved Caro to second before he tagged up to third on a fly ball to right field off the bat of Christian Donahue. Hoerner then bounced as slow-roller to shortstop, and his speed took care of the rest. He beat the throw to first with two outs, allowing Caro to score the go-ahead run. RHP Craig Brooks (S, 2) struck out the side in the ninth and stranded the tying run at second base to earn his second save of the year. The Smokies look to win the first series of the year at 2 PM ET on a US Cellular Family Funday Sunday afternoon. LHP Justin Steele starts for Tennessee against Mississippi's RHP Patrick Weigel.